CENTCOM commander says Russia wrong to send air defense system to Syria. The Middle East’s top United States military official condemned Russia’s transfer of the S-300 air defense system to Syria. According to Reuters, CENTCOM head General Joseph Votel said that the move was irresponsible and would help protect Iran’s quest to establish itself in Syria. Votel’s remarks echo similar sentiments made recently by top US officials. On Tuesday, US State Department spokeswoman Heather Nauert called Russia’s delivery of S-300 missile systems a “serious escalation in concerns and issues going on in Syria”. Earlier on Tuesday, Russian Defense Minister Sergei Shoigu said that the delivery of the system to Syria had been completed and that work on preparation and training of the crews will be completed by October 20. 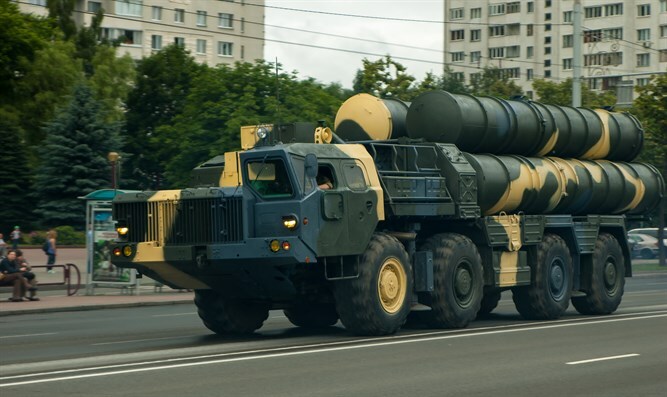 The supply of the system to Syria is part of Russia’s response to the downing of the Russian reconnaissance plane on the Mediterranean coast during an Israeli attack in the Latakia region of Syria. The loss of the Ilyushin IL-20 turboprop reconnaissance aircraft, including all 15 crew members, caused a crisis between Russia and Israel, even though the missiles that struck the aircraft were fired by the Syrian military.. The Defense Ministry in Moscow claimed that the Israel air force behaved unprofessionally and contrary to the coordination agreement between the two countries, and even used the Russian plane to evade anti-aircraft systems in Damascus during the attack in Latakia.